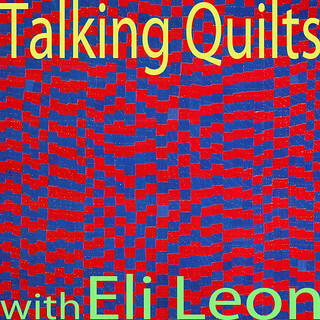 As part of my research for my forthcoming book on improvisational patchwork I've been reviewing the many amazing show catalogues based on Eli Leon's collection of over 1000 African-American improvisational quilts. During a recent visit he generously gave me a stack of his catalogues and we spent an afternoon looking at them and talking about our favorite quilts. In particular I've been grooving on Accidentally on Purpose , a catalogue that includes two extensive essays by Eli, from the exhibition at the Figge Art Museum in 2006. The essays written by Eli, incorporate over a 100 hours of interviews of African-American quilt makers. They speak about their process in their own words and Eli brilliantly pieces together their narratives into a comprehensive view of their approaches, tactics, and methods of improvisation. 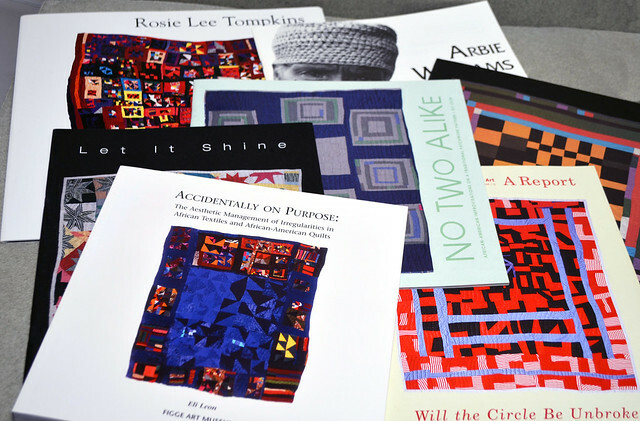 If you want to really learn about improvisational patchwork then study these quilts and read Eli's essays. Announcing a fabulous EXCLUSIVE blog series! We had so much fun talking quilts while looking at the catalogues, we decided to "talk quilts" on a regular basis. Now each time I visit, Eli chooses a different quilt from his African-American collection that he particularly likes. I'm always surprised. We hang it in his living room, sit back, bask in the quilt's magnificent glory, and then discuss the aspects of its design that contribute to its shine. 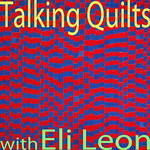 Eli has a keen aesthetic sense and a wealth of information about African-American improvisational quilts and their makers. I am happy to say he has given me permission to share images of the quilts and notes from our conversations. Stay tuned -- join the conversation -- grab an archive button for your blog if you like.